Win McNamee/Getty ImagesPresident Donald Trump had one of his wildest weeks in months. President Donald Trump has become increasingly emotionally unstable in recent weeks, and his friends blame this on his obsession with TV coverage and defensiveness in the face of perceived attacks against him. “The more pressure put on him and the more isolated he becomes, I think, his ability to do harm is going to increase,” one person told the Washington Post. Trump has felt hampered by the Russia investigation and the scandals surrounding his son-in-law and senior adviser Jared Kushner. His recently unstable demeanour was reflected in freewheeling policy decisions and behaviours this week. 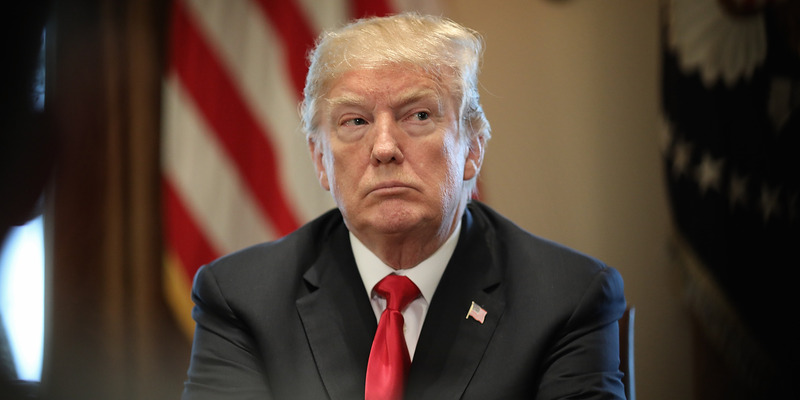 President Donald Trump’s friends and confidantes are reportedly more worried about his emotional health than ever before. As Trump becomes ever more focused on perceived attacks against him, constantly obsesses over TV coverage, and lashes out at friends and foes alike in public, many close to him say he is approaching “pure madness,” according to the Washington Post. Retired Gen. Barry McCaffrey did not mince his words about Trump’s current mental state. But others say things will likely get worse before they get better. “We haven’t bottomed out,” one official told the paper. Chip Somodevilla/Getty ImagesHope Hicks is known as the Trump whisperer. The Trump administration has been hampered by a quickening Russia investigation led both by the House Intelligence Committee and special counsel Robert Mueller, who is reportedly working his way “up the food chain” and may be eyeing Trump himself. 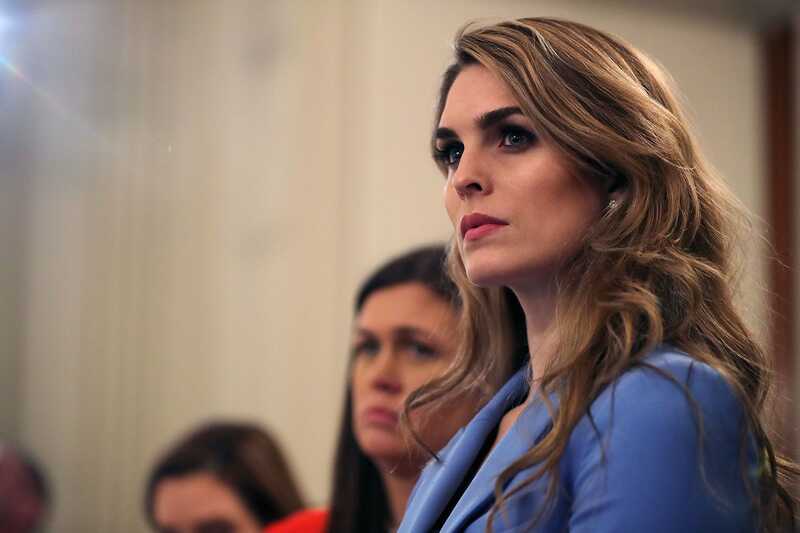 White House communications director Hope Hicks testified before the committee on Russian election interference on Tuesday, and then announced her resignation on Wednesday. One of the president’s closest confidantes who’s been with him since the beginning, Hicks’ departure will be a huge loss for Trump, who has fewer and fewer close, trusted allies in his White House. Trump’s son-in-law and senior adviser Jared Kushner also lost his “top secret” security clearance this week and gotten embroiled in several scandals simultaneously. In short, it’s been a tough week for Trump. Trump has recently undertaken significant policy measures, like the planned tariffs announced this week on steel and aluminium, without consulting or reviewing them with his advisers. A presidential ally who spoke with CNN said this week is “different” and that the president is spiraling. In the words of one official, Trump became “unglued” on Wednesday night. On Thursday, he invited business leaders to the White House without allowing the Secret Service to check their backgrounds and screen them for entry, NBC reports. On Wednesday, Trump had chided Republicans in a meeting for being “afraid of the NRA,” and then invited members of the gun rights group to the White House the following night. Trump also escalated his public feud with attorney general Jeff Sessions, attacking him on Twitter Wednesday. Then a photo leaked of Sessions dining with a top official and deputy attorney general Rod Rosenstein, who oversees the Russia investigation since Sessions recused himself. The Post reported that Trump was “raging” about Sessions’ disloyalty to friends the following morning. Former Rep. Timothy Roemer said in many ways, Trump’s dark demeanour of late is exactly what voters asked for.